Why: I’ve been a gamer for most of my life and also a fan of old school style tattoos. But wanted something a little more personal than the usual Swallows on my chest. 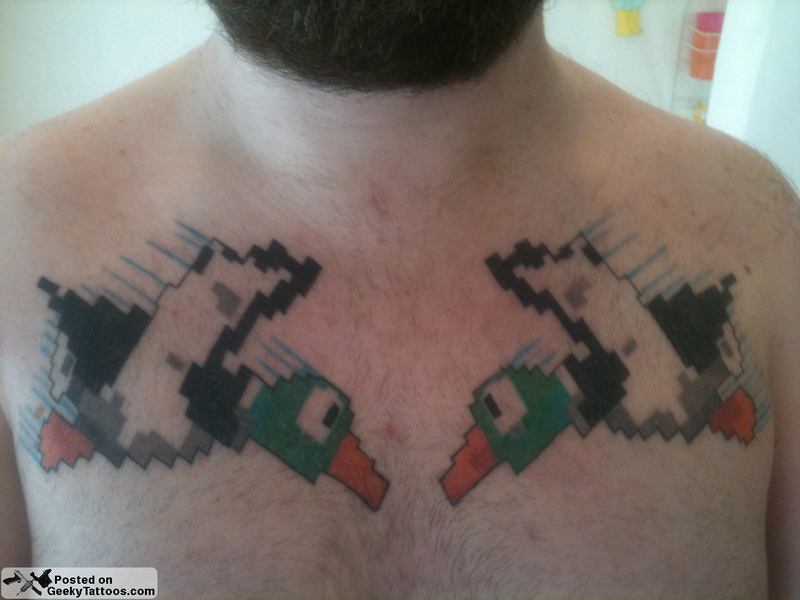 So decided to combine the gaming and old school tattoo interests and came up with the Duck Hunt idea. Currently toying with the idea of getting the dog as a rib piece too! Tagged with chest, Duck Hunt, Firefly Tattoo Studio, Nintendo, Steph Stokes.